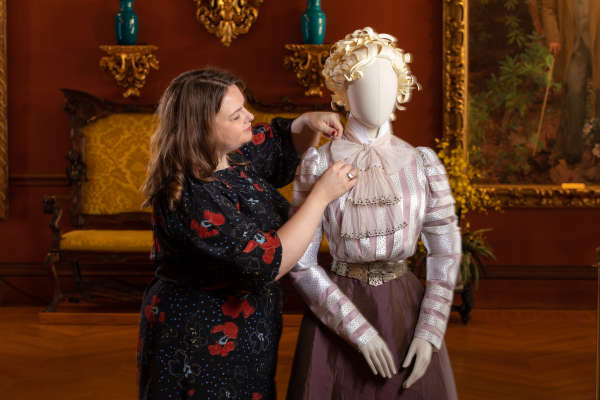 ► On display February 8 - May 27, “A Vanderbilt House Party: The Gilded Age” brings elegant costumes meticulously recreated from archival Vanderbilt photos by Oscar-winning costume designer John Bright to the grand rooms of Biltmore. A new audio tour provides a look into these grand events from the perspectives of the Vanderbilts&apos; butler and head housekeeper. ► NEW: Ride the remote trails and roads of America&apos;s Largest Home via electronic tricycle on the Outrider Tour. This new adventure tour allows you to explore behind-the-scenes areas of Biltmore’s 8,000-acre estate. Vanderbilt House Party photo courtesy of The Biltmore Company.